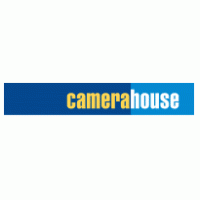 Save money with our Camera House coupons and deals. Camera House is Australia’s leading camera store, so you’re bound to find the photography equipment you’re looking for. We offer a full range of products, from cameras to tripods and lenses to drones. Browse our huge range of cameras spanning every budget and brand. We’ve got everything from beginner level DSLRs to high quality compact system cameras. You’ll find everything you need to complete your camera kit. Browse our range of tripods, cleaning accessories, and camera bags and cases. Buy yourself a range of lenses to give yourself greater creative freedom. At Camera House, you’ll find zoom lenses, wide angle lenses, fisheye lenses, and more. We stock a wide range of brands so you can stock up your camera bag with your brand of choice, whether that’s Canon, Nikon, GoPro, or Olympus. In photography, the little details are just as important as the larger ones. That’s why we stock a range of accessories that are essential to the quality of your images. Check out our full range of memory cards, filters, camera batteries, optics, remotes, chargers and much more. Shop online at Australia’s leading camera store and you’ll enjoy our Better Pictures Guarantee. Browse our full range of products online today. Flat rate $9.95 Shipping Australia Wide!